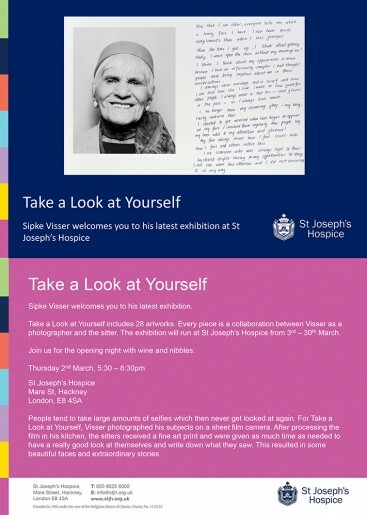 Hello everyone, I would like to invite you to the opening of a small exhibition of the Take a Look at Yourself project. For this project, which I've been working on for three years now, I've been taking portraits of people on a very old sheetfilm camera. The sitter then received a fine art print on which I asked them to write what they saw. The result is series of portraits and the stories to go with them. After Thursday the show can still be visited until March 30th.